Can't Find My Czechbook, Do You Have This Color in Stock-Holm?, Eurso Euro, I Just Can't Cope-acabana, Jade is the New Black, My Paprika is Hotter than Yours, OPI, Where Did Suzi's Man-go? Fabulous! I would have cried to combine these two prompts, but you are a genius. 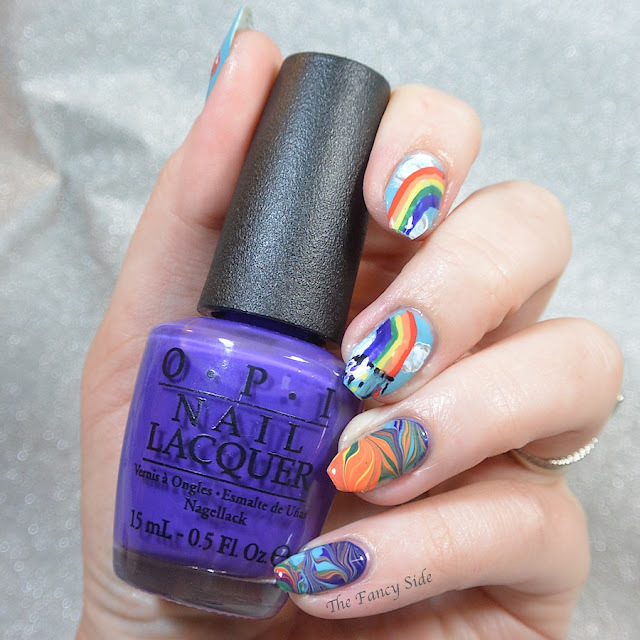 Love the rainbow marble and freehand art! Until I remembered this book, I was thinking I'd have to do two posts. Thank goodness for the Rainbow Goblins. I dunno how you did two challenges in one, I'm amazed. 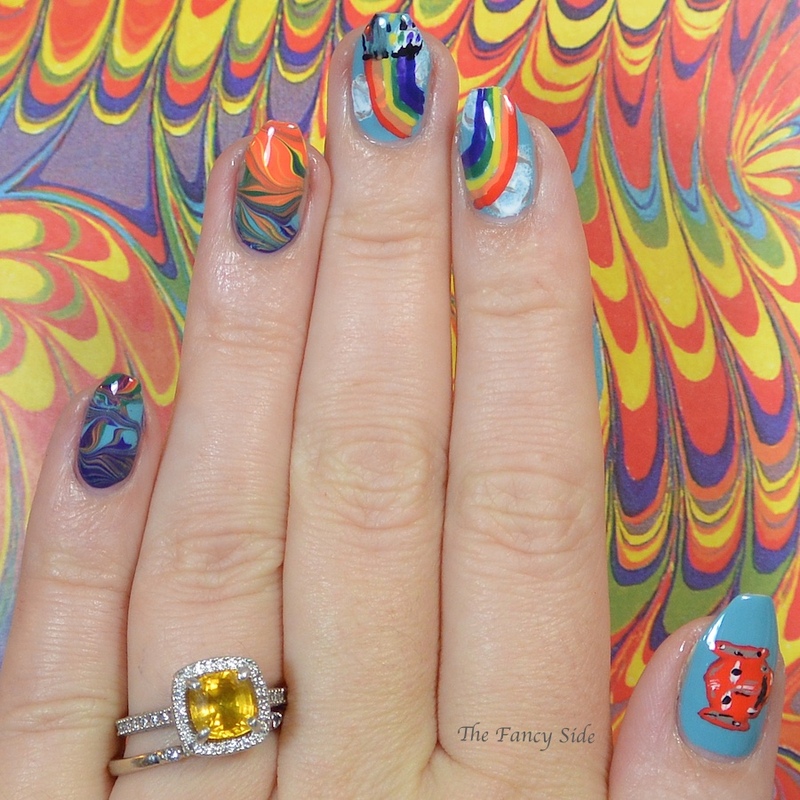 Your incorporating colored illustrations from the book into your water marble turned out great. This book was a god send because otherwise I'd have had to do two posts and that would have sucked. Yes they are! You are on top of it with all these posts! Awesome job combining two into one! I've never heard of that book I'll have to check it out! I kind of like how your marble has no rhyme or reason, it looks super cool! Thanks girl! My marble looks like that because I'm TERRIBLE at it. I love how you combined these two posts! I think you did an amazing job! I love it! Thanks Heather, you are too sweet. This is incredible! I love the inspiration and the outcome! Wow that wm is awesome!!! Well this was pretty amazing! OMG, that is soooo awesome!! 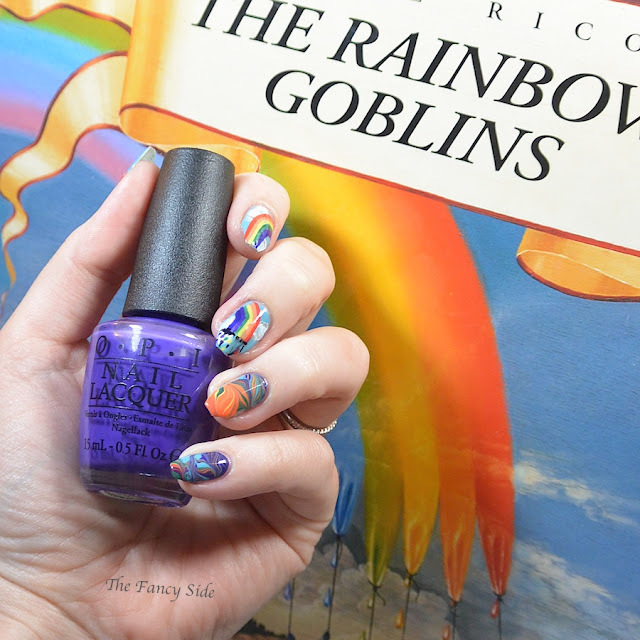 A great mani, and now I want to find the book. I've never heard of it. It's definitely a weird one. But I love it. Super cute! Great job combining challenges! Wow you nailed it! Love how you combined these! 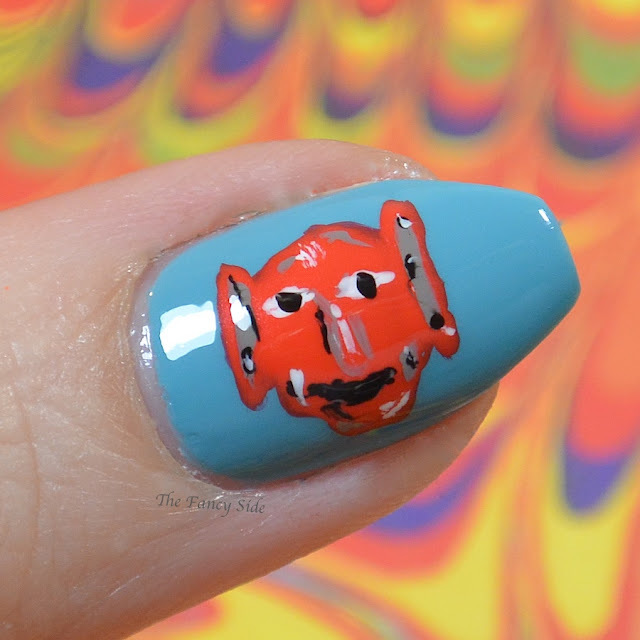 That's a fun mani. I love the combo !